Divided by type of document, the library has over 35,000 library volumes, 2,500 magazine titles, 3,000 museum items, 5,000 hand-written and printed manuscripts, 22,000 photographs, 1,200 placards, and 40,000 flyers. 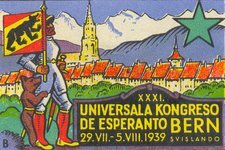 The Esperanto Museum was founded in 1927 by Hugo Steiner, and solemnly opened in 1929 in an official government ceremony in the Hofburg. 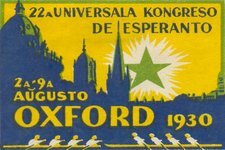 Since its founding in 1927 the Esperanto Museum has had a comprehensive library, which in 1990 received the title of Department of Planned Languages. The Esperanto Museum of the Austrian National Library conveys, on its 80 square metres of museum arranged in a modern style, the vicissitudes of the history of Esperanto, and as well presents in a general way the topic of the relationship of man to language. With interactive media stations visitors can, though acoustic aids get to know not only Esperanto, but also other planned languages, such as the mystical Lingua Ignota of Hildegard of Bingen or Klingon from the television series Star Trek. One of the media stations draws attention to the little known fact that so-called natural languages also have portions of artificially created vocabulary. That rules of grammar can be easily learned and can be acquired without intense swotting is proved by an automat through which you can get a grasp of the grammar of Esperanto using the now legendary Pacman game. A video course of the BBC gives an impression of how spoken Esperanto sounds.